Well, there’s no hiding it. Taco Bell is definitely one of our “go-to” places when we are hungry and in a hurry. Today we decided to recreate one of our favorite recipes to order from the fast food restaurant. This DIY Taco Bell Crunchwrap recipe is SO good and so easy to make (that’s a must!). I can’t wait to show you how we did it. This recipe is hard to mess up, which makes it a perfect for busy days when everybody in the house is hungry! That happens a lot around here. 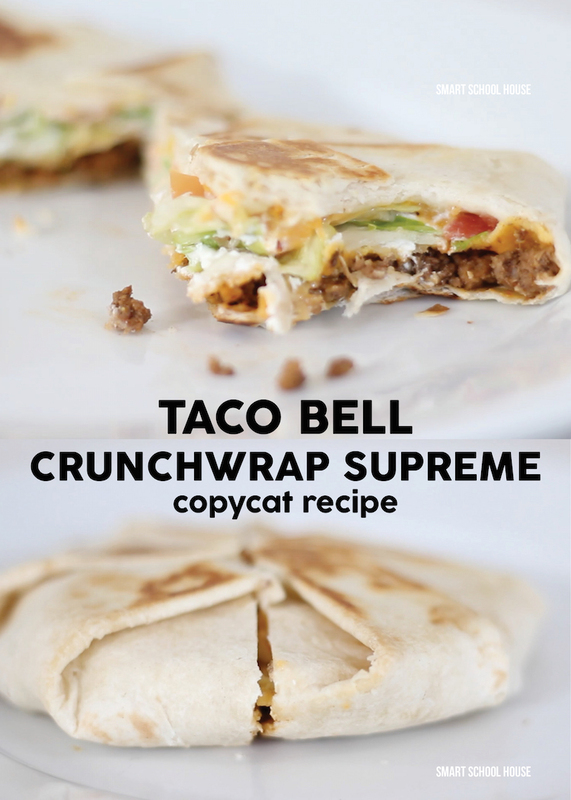 Get your kids involved with this Taco Bell Crunchwrap copycat recipe. Have them make it “their own” by adding more or less of any ingredient. So easy! I like to add extra ground beef and lettuce to mine. I also top it off with taco sauce, but I know you all have your favorite way to eat a Crunchwrap too! 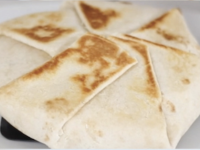 Fold and wrap the tortilla around the ingredients, using the tostada shape as your guide (as seen in the video above). Prepare a pan with non-stick spray and cook each side on medium heat until golden brown (starting with the seam side down first). Yumm! I will def try this! 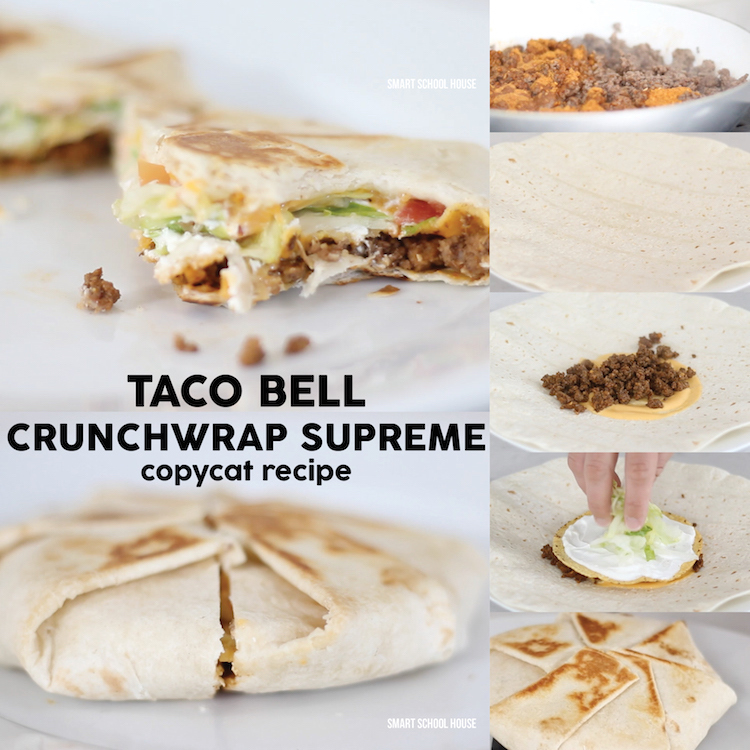 Crunchwraps are one of my favorites at Taco Bell, so I’ll definitely be trying this at home! OHHH MYYYYY GOSSSSSSH!!! The DIY TACO WRAP IS TO DIE FOR!!! I just made it right meow. My daughter and I tried it and ate them all up and I haven’t even served dinner yet!!! Thank you so much. Making this ASAP again!! !